See how true love creates beauty: Enjoy a wonderful story about a man, a woman, flowers and the little things that make us fall in love with someone. Not just on Valentine’s day, but every day a bit more. The 2012 advert shows Christmas trees popping up all over Ireland in some unexpected places, like the bottom of a swimming pool or a baggage carousel. Any Good? Well the advert itself is quite modest; however, Spar followed up by placing Christmas trees all over the country in unusual places causing quite a PR stir. This is a well thought out advert and it just so happens that the Spar symbol is a green Christmas tree. 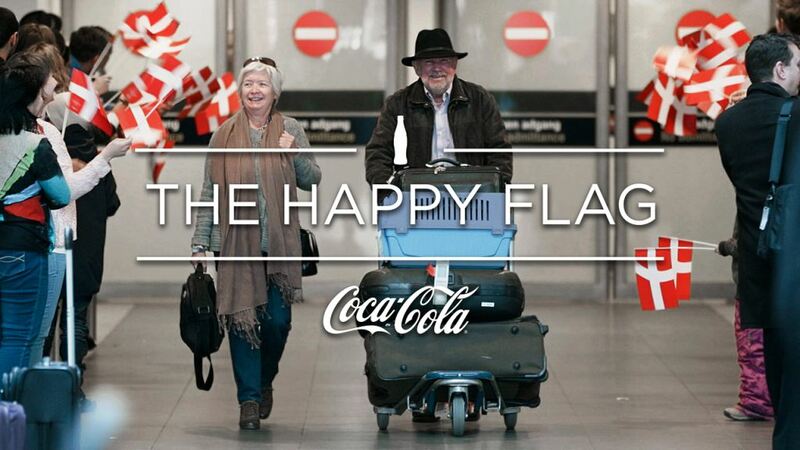 To celebrate Denmark being named the world’s happiest country, Coca-Cola created the ‘Happy Flag’ campaign, inspired by the Danish tradition of welcoming newcomers and returning citizens at the airport. Advertising agency McCann noticed several similarities between the identities of the country and the soda pop brand. Aside from the bold red and white coloring, the white crossing in Denmark’s flag is fit into the swoosh of the ‘O’ of the iconic logo. Coca-Cola set up large posters where people could take free flags to help create an even bigger celebration for new arrivals. In just one day, 2,400 flags were taken from the poster, bringing an unmeasurable amount of happiness to the people of the airport. 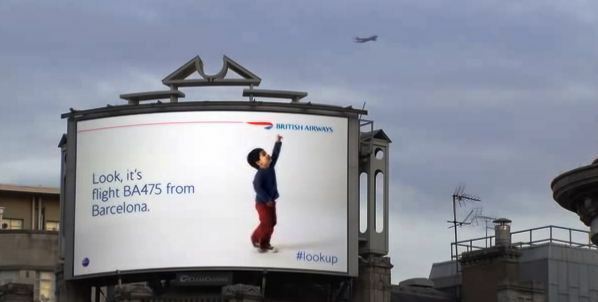 Courtesy of a little digital magic, the boy in this poster knows when it’s a British Airways plane. And that really is the actual flight number and where it’s flying in from.